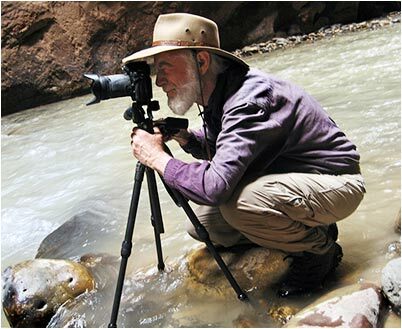 Michael Slack is a British born, Berkeley based fine art photographer who has taken master classes with Kim Weston and Joel Belmont. Michael has exhibited at the Center for Photographic Art, Carmel, CA , the Center for Fine Art Photography, Fort Collins, CO, and at PhotoPlace Gallery, Vermont. His work has been published in Focus magazine, COLOR photo magazine and B&W magazine. 2019 Marin Society of Artists, San Raphael, CA. IMAGES 2019 exhibit. 2018 The LightRoom, Berkeley, CA. Berkeley Fine Art Photographers group exhibit. 2018 PhotoPlace Gallery, VT. Juried show "Celebrating Women." 2018 ACCI Gallery, Berkeley, CA. BCC juried exhibit (first place award). 2017 Lamorinda Gallery, Orinda, CA. Berkeley Fine Art Photographers group exhibit. 2016 Photolab gallery, Berkeley, CA. Explorations in Contemporary Photography. 2016 The LightRoom, Berkeley, CA. Berkeley Fine Art Photographers group exhibit. 2015 Photo Laboratory Gallery, Berkeley, CA. Berkeley Fine Art Photographers group exhibit. 2015 Center for Photographic Art, Carmel, CA. International juried portfolio exhibit. 2014 Berkeley Art Center, Berkeley, CA. Members exhibit. 2013 Center for Fine Art Photography, Fort Collins, CO. International juried exhibit. 2013 SF CameraWork, San Francisco. "Cover to Cover" member exhibit. 2013 The LightRoom, Berkeley, CA. Berkeley Fine Art Photographers group exhibit. 2012 The French Hotel Gallery, Shattuck Ave, Berkeley CA : La Femme Eternelle, solo exhibit. 2011 Berkeley Art Center, Berkeley, CA. Member Exhibition. 2010 Center for Fine Art Photography, Fort Collins, CO. "New Visions" international juried exhibit. 2010 SF CameraWork, San Francisco. Membership group exhibit. 2015 Center for Photographic Art, International Juried Exhibition catalog. 2018 First Place, juried exhibit ACCI Gallery, Berkeley, CA. 2016 Peoples Choice Award, B&W Magazine, Issue113. 2012 Pictorial Image of the Year, California Council of Camera Clubs. 2011 Excellence Award from B&W and COLOR Magazine, Issue 86.